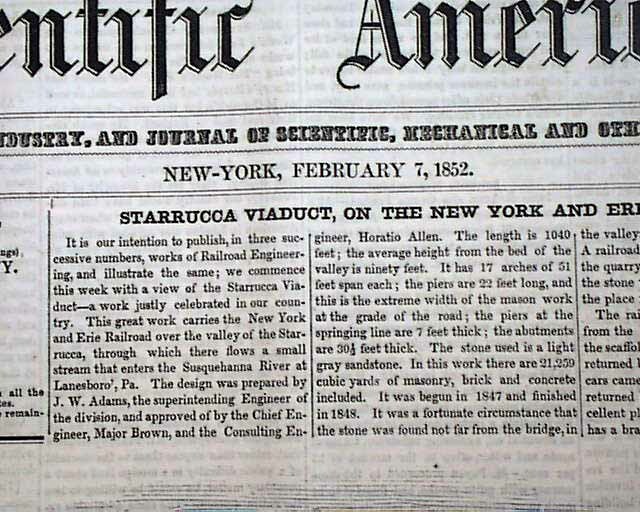 SCIENTIFIC AMERICAN, New York, Feb. 7, 1852 The front page features a nice engraving of: "Starrucca Viaduct, on the New York and Erie Railroad". 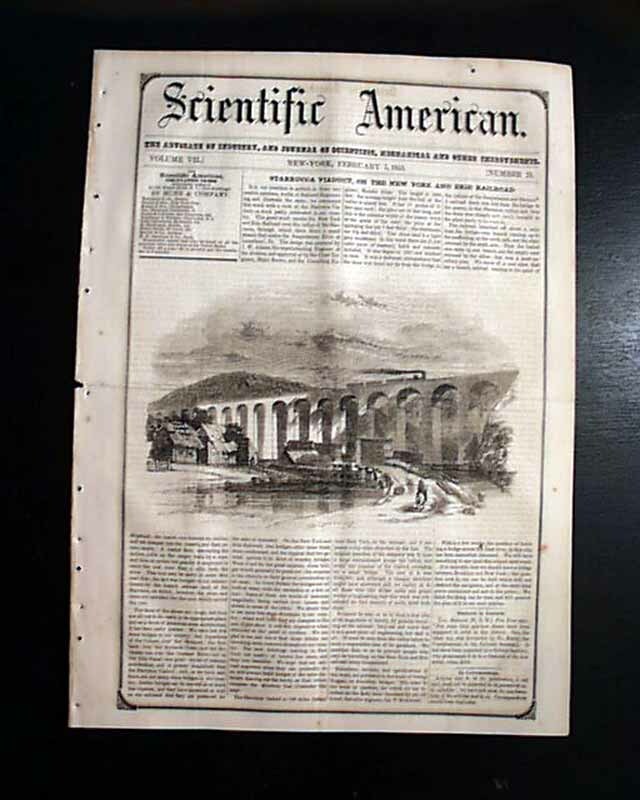 At the time of its construction, the bridge was thought to be the most expensive railway bridge in the world, at a cost of $320,000 (equal to $8,722,462 today). 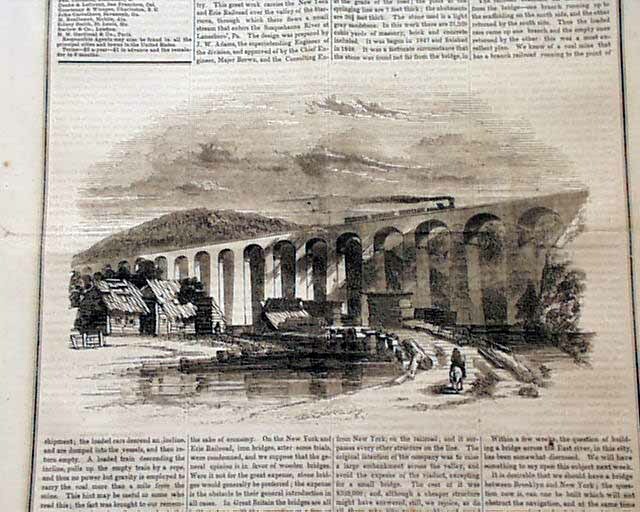 It was the largest stone rail viaduct in the mid-19th century and is still in use today. There is a related front page article as well. 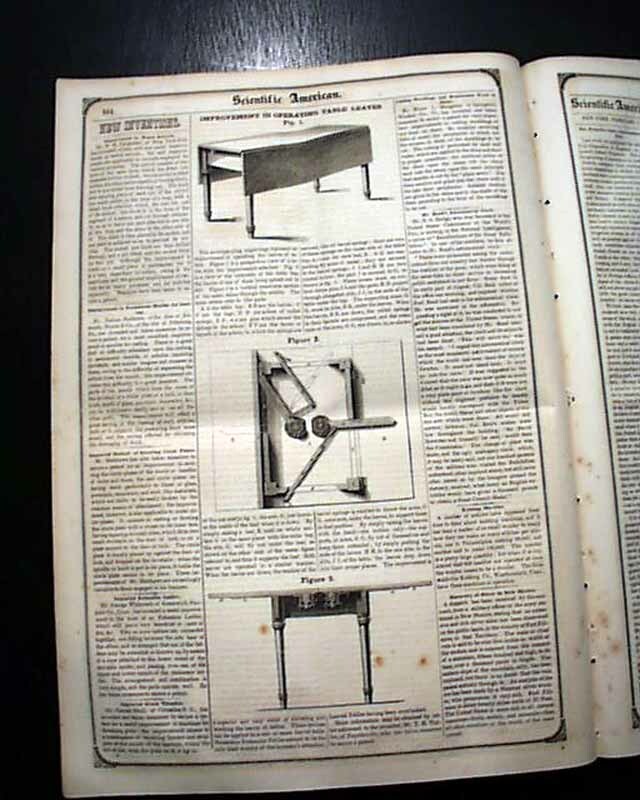 Other scientific & engineering reports & illustrations as well. Eight pages, good condition.